Events This is where you can find all our exciting and up coming event. From fun matches to educational seminars. We strive to engage not only our members, but the community in general, to particapate in events for the betterment of our compaion animals. Welcome to our events page. Posted here are our upcoming events. Most of these event are open to the public and they are welcome to attend. Information about registering for each event will be posted on the right side of this page next to the event description. WCRL Rally Trial Spring 2019 Saturday & Sunday, TBA Come and join us for our Fall WCRL Rally trial. Entries open Jan 10th. Download the premium below. WCRL Rally Trial Fall 2019 Saturday & Sunday, Oct. 13 –14, 2018 Come and join us for our Fall WCRL Rally trial. Entries open Aug 10th. Download the premium below. AKC Agility Trial 2019 Saturday & Sunday, March 23 –24, 2018 Come and join us for our AKC Agility trial. Entries open Jan 24th. Download the premium below. 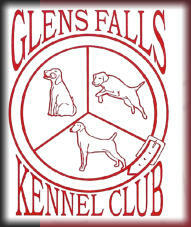 Bainbridge AKC Dog Show 2019 TBA Glens Falls Kennel Club is hosting Our second Bainbridge AKC Dog Show. For more information please keep an eye on our events page here or our Facebook page.